Losari Metro Hotel Makassar location on Makassar City Center map is not available. With its central location, Losari Metro Hotel Makassar is within easy reach of most tourist attractions and business addresses in Makassar. All hotel's guestrooms have all the conveniences expected in a hotel in its class to suit guests' utmost comforts. 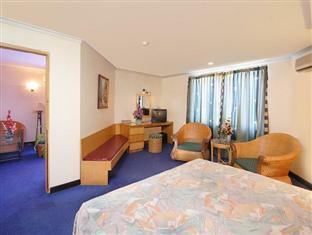 The guestrooms are equipped with television LCD/plasma screen, television, hair dryer, satellite/cable TV. Services and amenities available for guests at this Makassar accommodation consist of restaurant, meeting facilities, coffee shop, Wi-Fi in public areas. Modern comfort and convenience are seamlessly combined to ensure the guests' satisfaction. The hotel provides a warm and welcoming service of international standard. To make your reservation at the Losari Metro Hotel Makassar quick and easy, please select your preferred dates of stay and proceed with our secure online booking form.